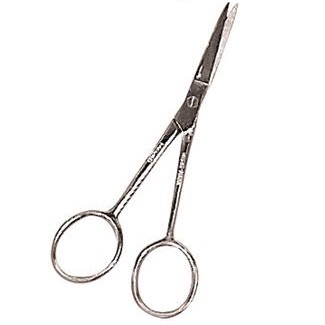 These are actually surgically sharp dissecting scissors made of instrument quality stainless steel. Precision alignment cuts the thinnest material cleanly to the tip. Excellent for decoupage, ship model rigging, miniature fabrics and other needlecraft work. 4-1/2 inches long.